Marco De Mutiis is an artist that works with different media and technologies and with an interest in issues of perception and communication. Often re­-engineering and transforming old analog and mechanical devices, De Mutiis creates kinetic installations that concern with communication, language and physicality. Graduated with distinction from the MFA program at the School of Creative Media (City University of Hong Kong), he has shown his works internationally in festivals and galleries. He has been the recipient of the Bloomberg Digital Arts Initiative in 2013. He has worked as a senior research associate and part-time lecturer at City University of Hong Kong and he is currently working as Digital Curator at Fotomuseum Winterthur and responsible for the media lab at Camera Arts, Lucerne School of Art and Design. In the videogame 1979 Revolution: Black Friday (iNK stories 2016) you play as Reza Shirazi, an aspiring photojournalist, who comes back to Iran in the middle of the revolution. You are looking at the events unfolding in front of you through the viewfinder of your analog camera. The picture oscillates between blurred and focused until you hit the spacebar and snap a picture. My pictures always turn out blurred: am I a bad photographer or simply bad at video games? As I keep my trackpad clicked to let my negatives develop, I wonder about photography, simulated in this odorless darkroom, with its camera body vanished and its shutter button transformed into a mouse click. How is photography simulated in videogames, and how can the two inform and influence each other? Trying to snap a sharp picture in 1979 Revolution to me is a gamification of analog photography, but could it also be seen the other way around? Finally how can simulations help us understand photography, both historically and its contemporary manifestations? 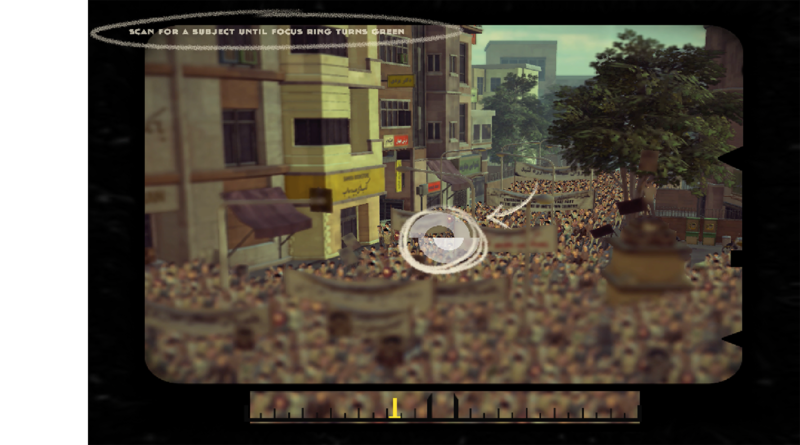 1979 Revolution is just one of the most recent videogames that incorporate photography elements as a central game mechanics. Analog cameras, DSLRs and even disposable carton cameras have been embedded in videogames with many of the camera functions simulated in digital environments. While photography games are just a part of a broader and more complex phenomenon often grouped under the label of in-game photography Currently a research on the bigger theme of in-game photography and a mapping of the phenomenon is being developed by Marco De Mutiis in collaboration with Sebastian Möring, and a public (and somehow eclectic) repository of our findings can be found at ingamephotography.wordpress.com (spanning from Photo Modes to game screenshots, from game modifications to other artistic interventions), examples of a “gamification” of photography date back thirty years and account for a small and overlooked photographic history. 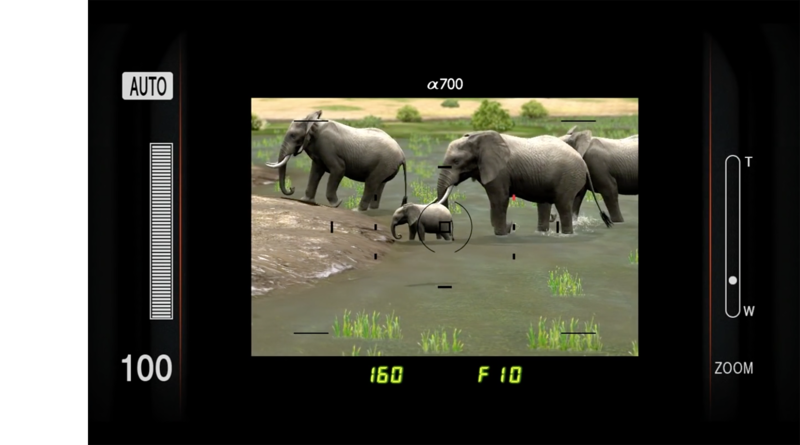 One of the very first examples of photography videogames is Safari Guns (New Deal Productions, 1989), a first person shooter two-dimensional game for Amiga, where one plays the role of a photographer on a mission to document the disappearing animals of the African wildlife. 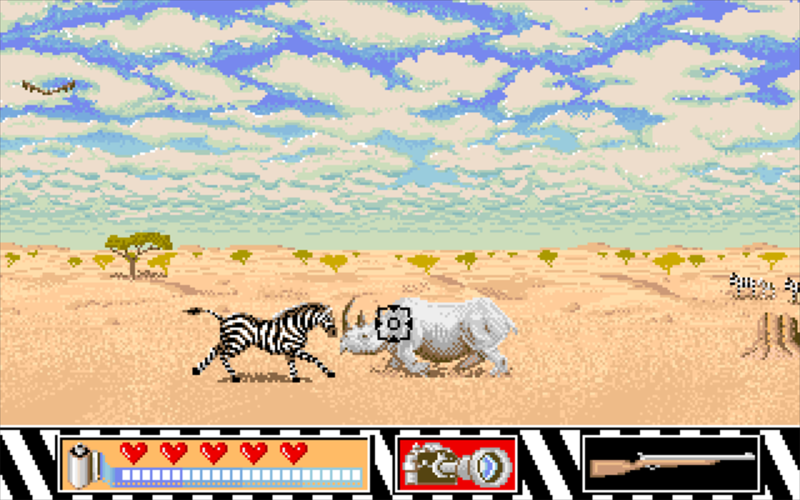 Safari Guns implements a basic camera feature, represented by a viewfinder crosshair and transformed into simple game mechanics of point-and-click. 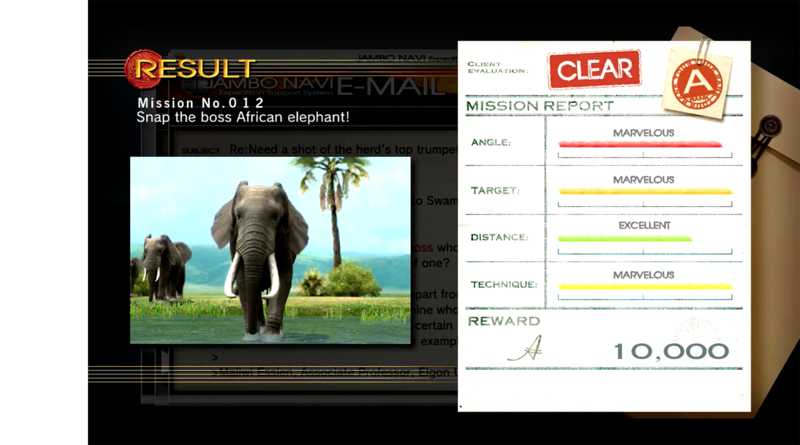 Collecting photos of wild animals and the theme of photographic safaris is a popular genre of photography games. Wild Earth (Super X Studios 2006), Depth Hunter 2: Deep Dive (Biart Company LLC, 2014), Snapimals (BeebopBee 2015), Pokémon Snap (HAL Laboratory 1999) and Afrika (Rhino Studios 2008) are just some of the titles that simulate the attempt to capture images of animals within gameplay. 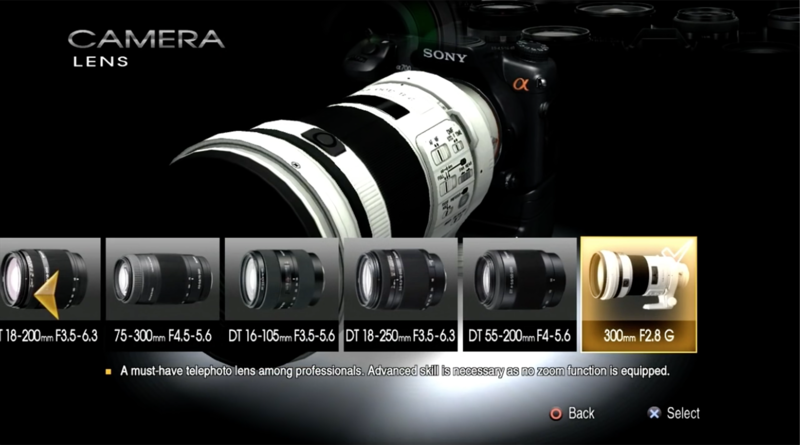 Some of these games implement more aspects of photography in the core mechanics of their gameplay and simulate many standard functions of analogue and digital SLR photography. Zooming, framing, focusing, adjusting ISO, shutter speed and aperture are some of the main actions borrowed from the interaction of the photographer with a conventional camera. Finally some games like Afrika and Pokémon Snap go as far as judging our in-game photos, with clients rating our assignments and game characters grading our compositions, judging the angle of the shot and position of our subjects. Although no light is hitting any film or sensor, and there is no trace of the physical camera apparatus, virtual photography is very real. Simulations reveal something about photography that might help us define it, or at least to raise questions about the ideas behind it. Videogames let us experience certain aspects of photography through gameplay, using familiar actions (framing, zooming, pressing the shutter…) in a new context. If we understand simulation as “to model a (source) system through a different system which maintains to somebody some of the behaviors of the original system”, Frasca, Gonzalo. 2001. “SIMULATION 101: Simulation versus Representation.” Weblog Ludology.orgone then might try to look for what behaviors belong to photography. For starters photography simulations show us that there is something playful already present in the act of taking a picture, and that “Photography is an inherently gamelike practice. Composition is rule based (albeit with rules that can be broken), and the act of photography is a strategic endeavor. Photography supports collecting and exploring: both popular activities in digital games.” Poremba, Cindy. 2007. 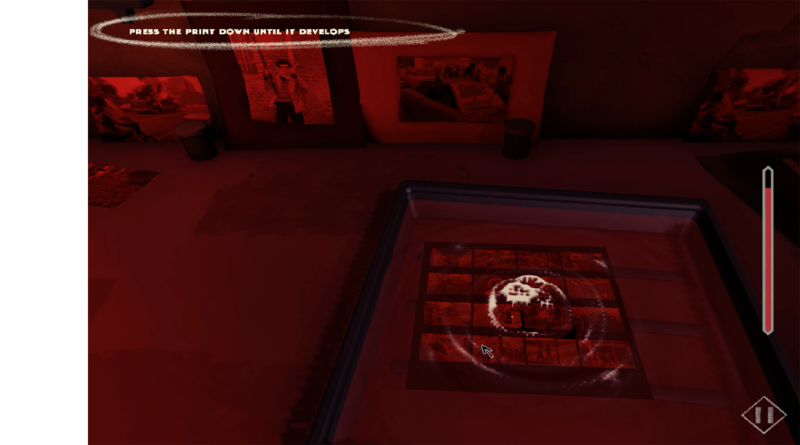 “Point and Shoot: Remediating Photography in Gamespace.” Games and Culture 2 (1): 49–58. Furthermore algorithms that regulate game mechanics reveal the work of invisible filters which are the same filters that operate behind the distribution of contemporary digital image. Simulations – no matter how sophisticated – necessarily operate a reduction and a simplification of photography when transforming it into gameplay. In doing so certain games create oversimplistic standards and promote a homogenous idea of how a photograph should look like. When Professor Oak assigns more points to a certain shot because our Pokémon is facing the camera, he operates a “photographic colonialism”. In Pokémon Snap “only one kind of photo is considered acceptable, appropriate, or worthy of praise, no matter how the subjects are treated or manipulated.” Orlando, Alexandra, and Betsy Brey. 2015. “Press A to Shoot.” Weblog. First Person Scholar. April 15. 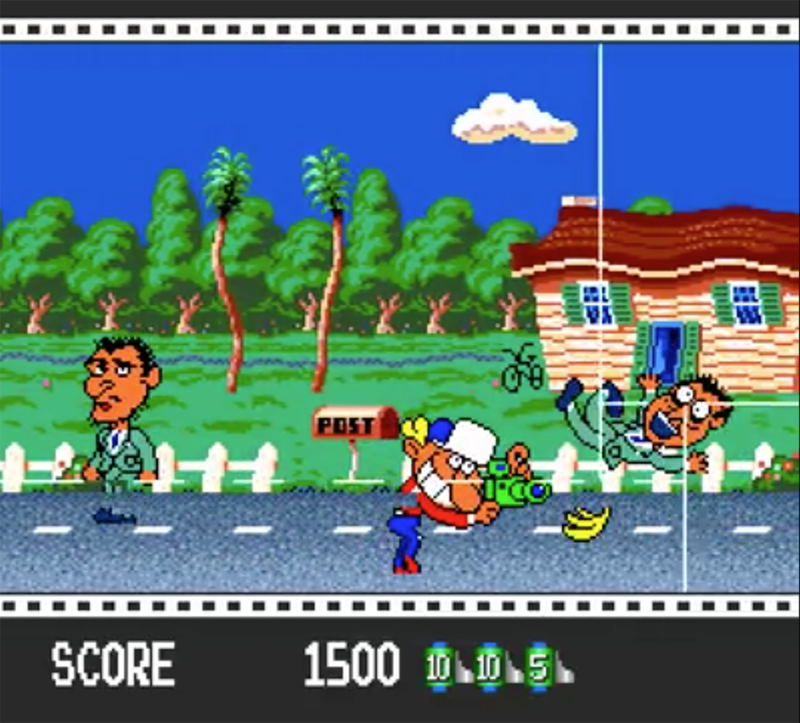 Finally other games like Gekibo: Gekisha Boy (Tomcat System 1992) attempt to gamify the “decisive moment” and attribute a certain score to a certain event. If you snap a picture of a man slipping on a banana peel, caught in mid air before he lands on the ground, you get 200 points. This shows us a virtualization of street photography, but it also reveals that the in-game picture can retain certain aspect of the photograph, namely an indexical quality. 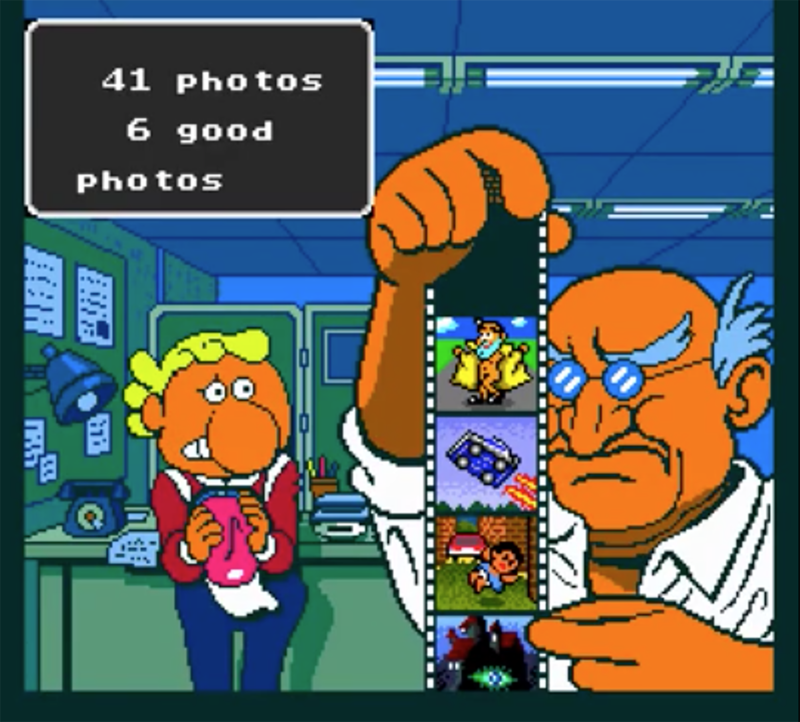 The snapshot in Gekibo: Gekisha Boy is in fact a document of something that actually did happen on our screens at that very specific moment in time. With online multi player games and our daily lives happening more and more on screen the line between traditional photography and the game photograph can become increasingly blurred in a way that will affect our notions of memory, history and identity.